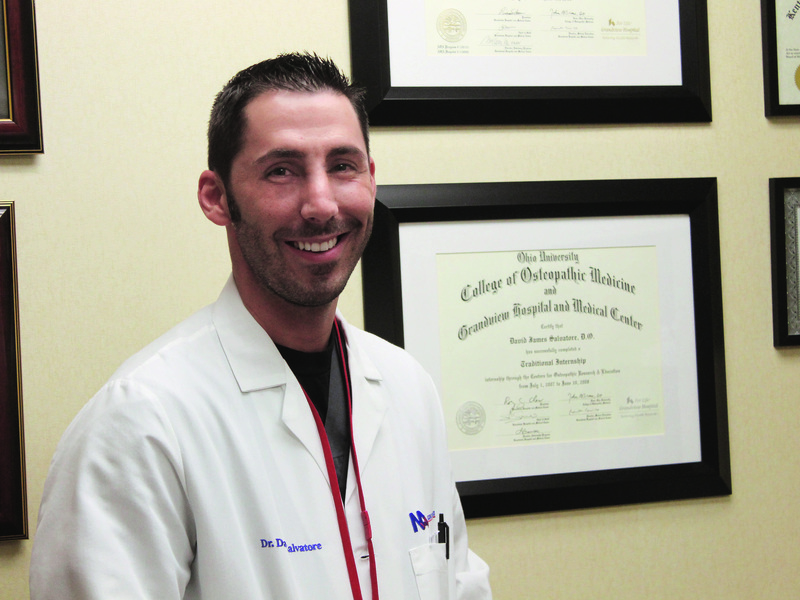 Dr. David Salvatore uses Botox to combat the effects of stroke and other neurologic disorders. LOUISVILLE Poison, paralysis, and facial rejuvenation. It sounds more like an episode of General Hospital than the historical description of an FDA-approved medical treatment. Yet, physicians are using botulinum toxin in a growing number of ways in to block nerve signals to muscles and reduce spasms that cause often painful conditions that interfere with quality of life. First studied in the 1950s, botulinum toxin was originally a treatment for strabismus or crossed eyes. Botox®, the most commonly recognized brand of botulinum toxin, was the first to be FDA approved for strabismus and blepharospasm (eyelid spasms) in 1989. It reached popular fame in 2002 when Botox Cosmetic was FDA approved for use in frown lines. In 2010, the FDA approved Botox for use in upper limb spasticity and for chronic migraine. 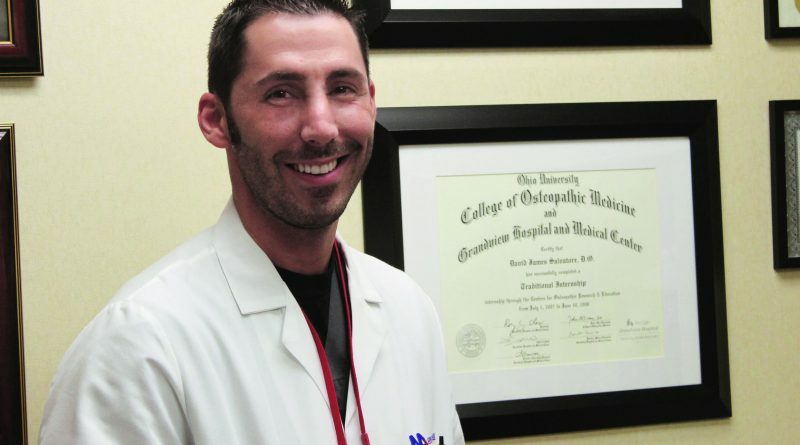 However, Baptist Neuroscience Associates neurologist David Salvatore, DO, says botulinum toxin has been used for off-label uses for 20+ years and is already the standard of care for some conditions. For upper limb spasticity, “It’s a first line treatment,” says Salvatore. “It’s not an issue for us to get insurance to approve it at that point because oral medications, like muscle relaxers, don’t go directly to muscle and have other side effects.” The same is true for lower limb spasticity, although it has not been FDA approved. Spasticity is the primary indication for Botox in stroke patients. It can also be used in stroke patients with sialorrhea, excessive salivating, where a small amount of the toxin is injected into the parotid gland. For Salvatore, who is also the medical director of Baptist Hospital East’s Stroke Program, Botox is just one of the treatment options in an area he says gets little attention – post-stroke care. After the acute care and in-hospital stabilization and assessment stage, rehab typically ensues, whether in an acute care, skilled nursing, or other setting. While Salvatore believes many PM&R physicians do a good job of taking over care here, he suggests neurology should continue to play a role to monitor and manage effects that occur weeks or even months after a stroke. In terms of spasticity, the symptoms can occur months post stroke, when weak muscles begin to tighten up. Botox can be very successful when this is caught in midstage before the muscles are completely contracted. When used in conjunction with physical and occupational therapy to loosen muscles and slow progression, Botox can greatly improve quality of life and can prevent pain and skin infections. Other neurologic conditions Salvatore injects for include hemifacial spasms, cervical dystonia, and chronic migraine. For all indications, in general, botulinum toxin is injected every three months. It can be administered sooner in cases where the body breaks it down quicker, however injecting too often carries the risk of developing antibodies against the toxin, making it less efficacious. While results are hard to measure in stroke patients, studies have shown botulinum toxin reduces patients’ disability scores. Outcomes are more quantifiable in chronic migraine, where two multi-center preemptive studies have demonstrated a decrease in nine headache days from an average baseline of 20. Unlike cosmetic applications of Botox where injections are relatively simple, medical uses require more extensive training and knowledge of the anatomy. When it comes to the risk of complications from Botox, it varies depending on the dose and condition being treated. “For post-stroke patients, it’s extremely low risk,” says Salvatore. “When injecting medications into peripheral muscles you have fewer problems with systemic side effects when utilizing a moderate dose of the medication.” On the other hand, injecting for cervical dystonia in the neck requires expertise in avoiding critical structures. In both instances, Salvatore uses a technique called EMG guidance, which utilizes a microphone-like device on the end of the needle that allows the physician to hear that he/she is in the muscle and how active the muscle is. “For stroke patients, it’s really identifying what muscles are optimal for their spasticity and then knowing you are in the muscle before you inject,” says Salvatore. Salvatore has been with Baptist Neuroscience Associates, which is employed by Baptist Health and is the only neurology group practicing at Baptist Hospital East in Louisville, for a year and a half but has been utilizing botulinum toxin for over five years through training in general neurology and physiatry. He is also a trainer for Allergan, the maker of Botox, teaching other providers how to inject for chronic migraine and avoid side effects. The group recently hired Dr. Tracy Eicher, a neurologist with Botox experience to help Salvatore manage the high volume of Botox and botulinum toxin patients he sees. IF YOU CAN CATCH SPASTICITY IN STROKE PATIENTS IN MIDSTAGE, BOTOX IS A FIRST LINE TREATMENT.